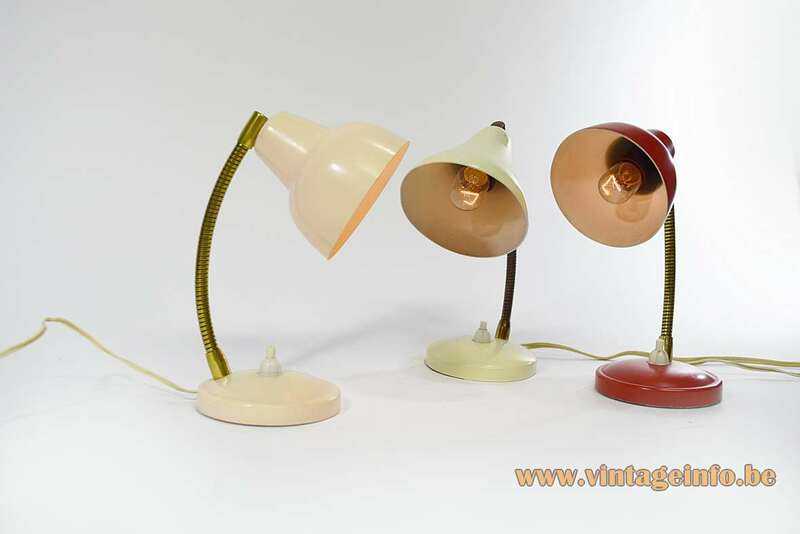 Big collection of 1950s/1960s table lamps in perfect condition, never used! These lamps came from a barracks on the Italian island of Sicily. They were the spare lamps for the recruits. A blue Aluminor bedside clamp lamp was used as a prop in the 1965 comedy film Fantômas Se Déchaîne (Fantomas Unleashed). Starring Jean Marais and Louis de Funès. 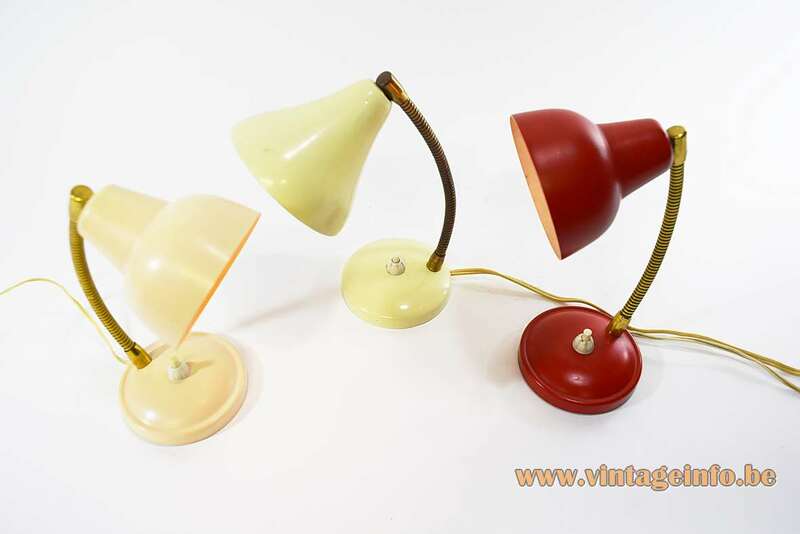 Materials: Light yellow and red painted round aluminium lampshades, white painted inside. Brass goose-neck. Light yellow and red painted iron round base, galvanized or tinned lid. 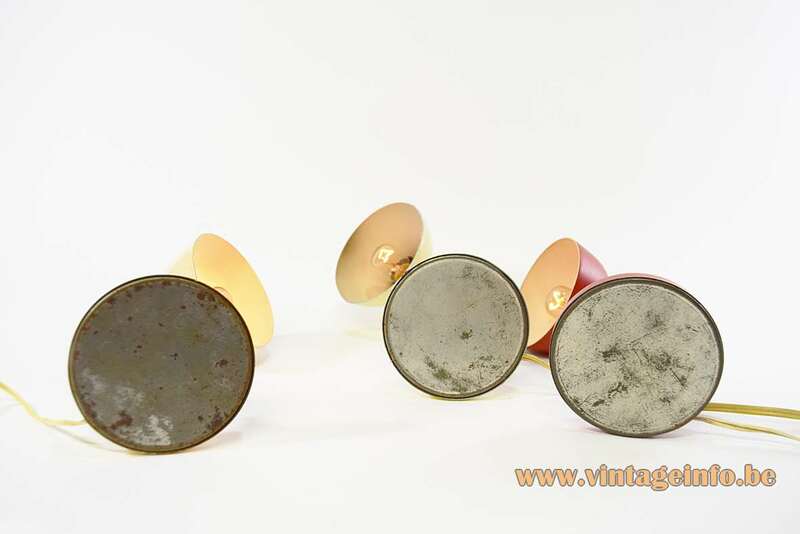 Bakelite sockets. Height: 20 cm / 7.87” – adjustable. Any type of light bulb can be used, not a specific one preferred. However, a small one gives the best result. Period: 1950s, 1960s – Mid-Century modern. 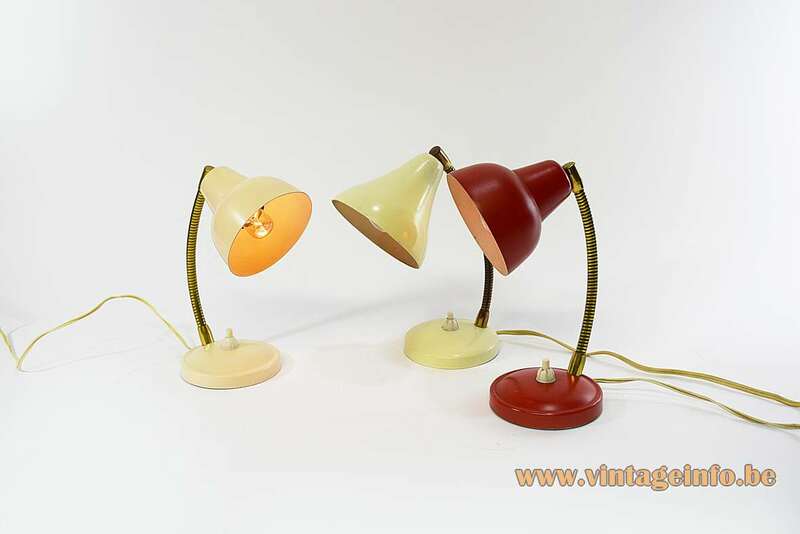 Other versions: These small bedside lamps were made with slight differences in the lampshade and produced in many colours. Later editions were made with a plastic lid on the bottom and they have a chromed brass gooseneck. André Lavigne established Aluminor in Nice at the Côte d’Azur – the French Riviera in 1950 to manufacture camera shutters. A year later the company grows and develops into manufacturing lighting appliances, first as a subcontractor, then with its own products. In 1974 they moved to the Contes and they started to export their lighting to the United States. Over the years the company expanded and built a number of new workshops. The company still exists and they still produce lighting. All the electric parts were made in the 1950s/1960s by VLM Components. VLM Components was founded in 1945 in Buccinasco, a small village near Milan, Italy. VLM Components is part of the Relco Group, founded in 1967. Today they are the owners of the brands Relco, Leuci, Relco Lighting, VLM Components and Segno. VLM Components became famous for the switches they produce which were designed by Achille Castiglioni in 1968. 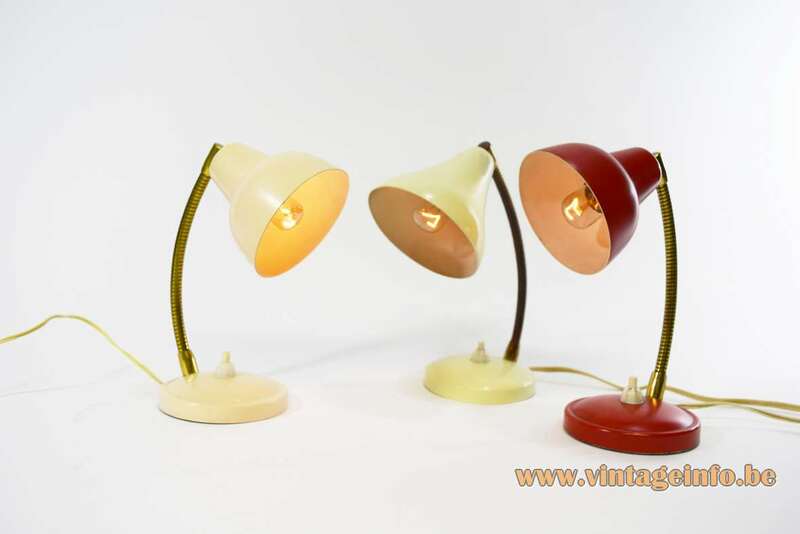 Similar lamps were sold in Italy by Vimar. At least they used the same gooseneck. Vimar produced its own electric parts, they are all labeled and the plug always has the name Vimar on it. 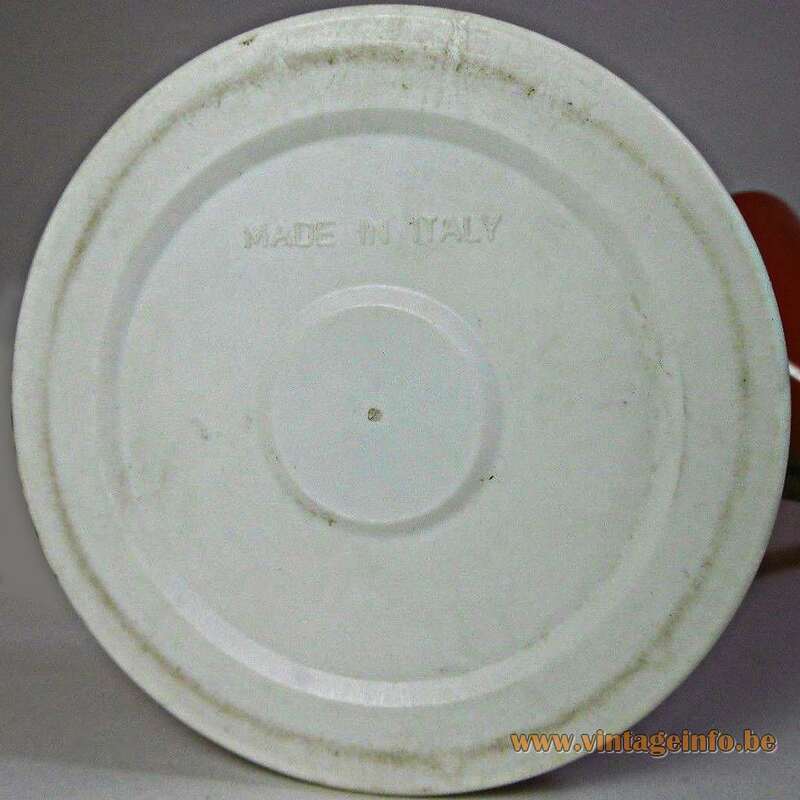 The lid on the base says: Made in Italy, as you can see. More info about the Vimar company can be found here on Vintageinfo. 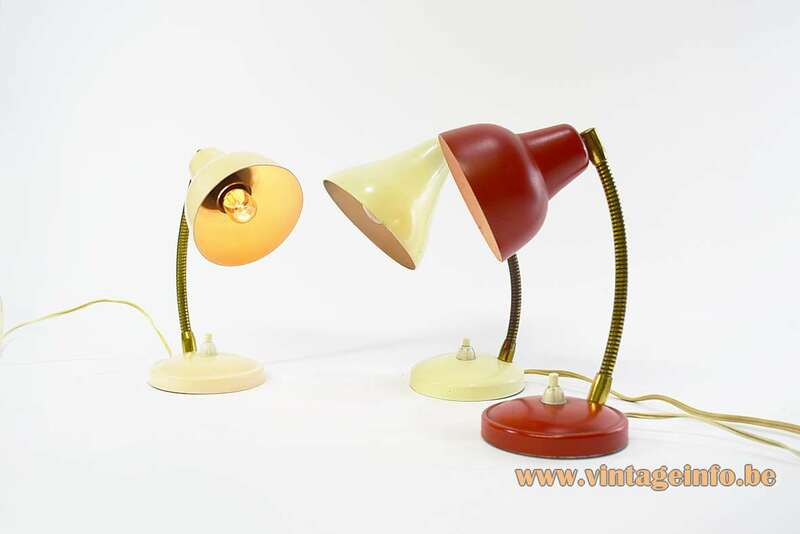 It is possible that these lamps or at least the parts were produced by Aluminor and sold by Vimar. 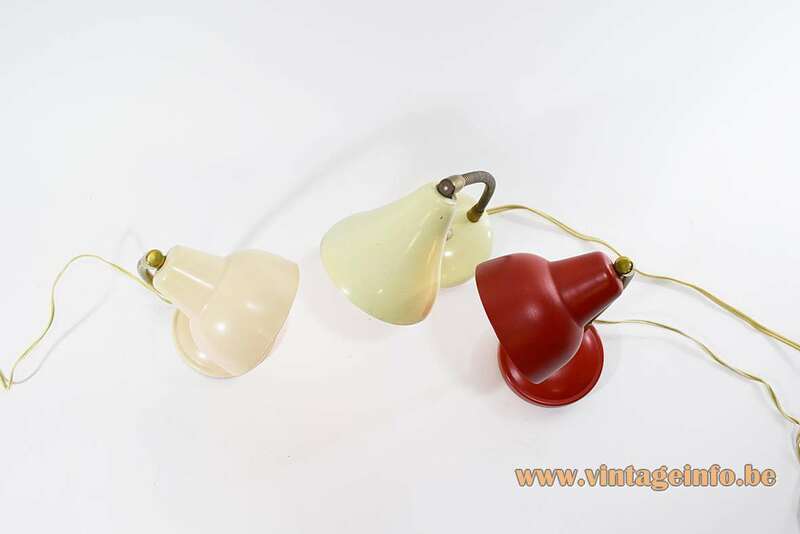 Also the German company Temde-Leuchten sold lamps produced by Aluminor. 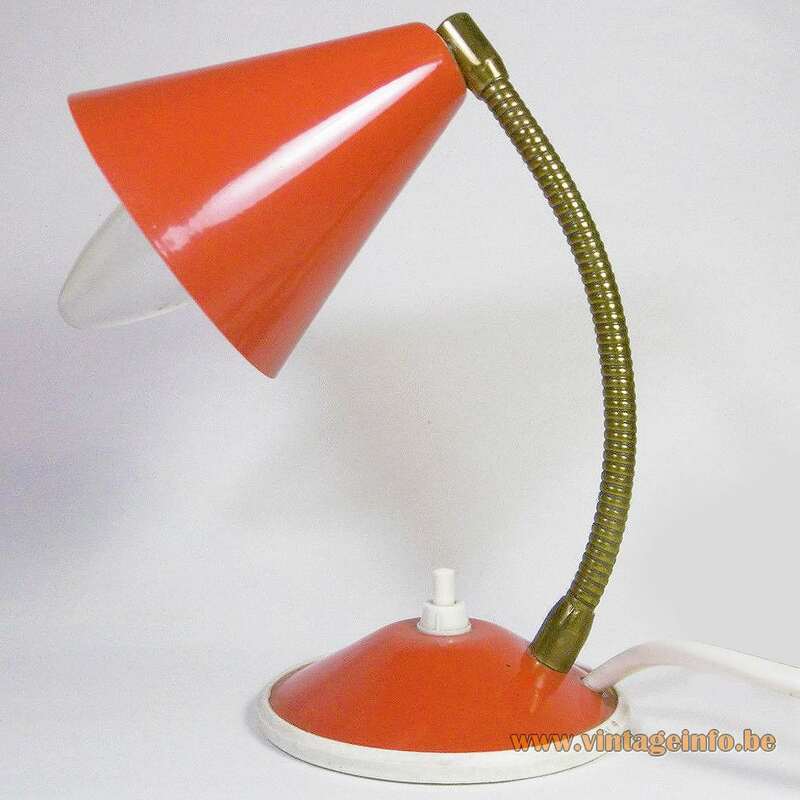 Two Aluminor bedside lamps, a green and red, were used as a prop in the French-Italian comedy film Les Grandes Vacances (The summer break) from 1967. It was directed and written by Jean Girault, and it features Louis de Funès. English title of the film: The Exchange Student. A yellow Aluminor bedside lamp was used as a prop in the film Tulipani, Love, Honour and a Bicycle (Tulipani: Liefde, Eer en een Fiets), a 2017 Dutch comedy film, written by Peter van Wijk and directed by Mike van Diem. With Ksenia Solo and Giorgio Pasotti in this scene. Many thanks to Guiseppe for his contribution.